Let’s talk wedding colors. When I first got engaged, most of my friends congratulated me with a big hug, grabbed my hand to examine the ring and then asked, “So what colors did you pick?” Ok, maybe not everyone asked about my colors first, but it almost always came up during that first conversation. 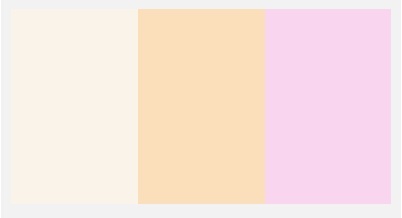 Well friends, eight months later, I finally have an answer to your question: Our wedding colors are blush, apricot, cream and champagne. 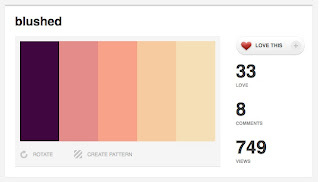 This color palette has had a bit of an evolution. It began featuring navy blue and peach. But I didn’t like the mock-up of our table that was created for the menu tasting back in May. So I turned to my most trusted ally, Martha Stewart, for advice. 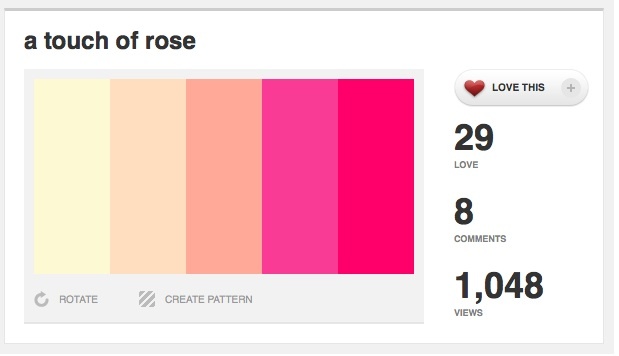 In her Summer issue she says that using a monochromatic color palette evokes romance. New York City designer, Matthew Robbins, is featured in the article, “Roses Revisited”. 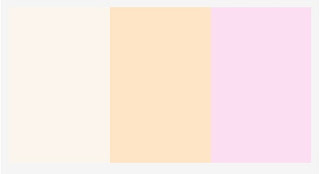 He says, “Focus on soft apricot, peach, blush, cream and ivory tones. 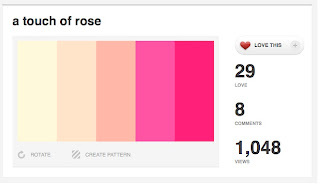 The bright, bold roses tend to conjure up a less dreamy, more casual look and feel.” Bingo! We kept the blue, but look for it on the bridesmaids and groomsmen, rather than in the centerpieces. 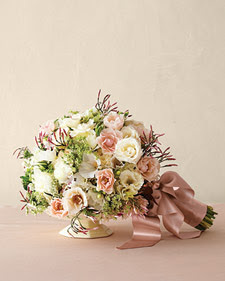 Matthew Robbins' lovely bouquet featured in Martha Stewart Weddings. Of course, I had another ally in this endeavor. 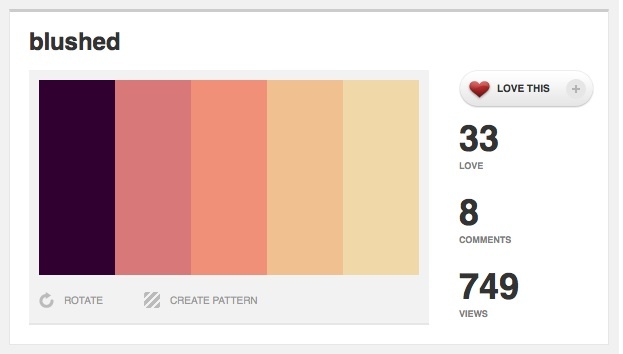 My friend Clare is taking an HTML class, and her professor told her about this site, ColourLovers.com. 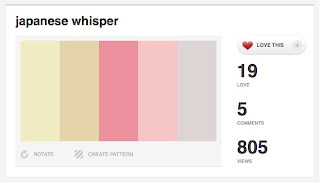 It’s a site where designers can create color palettes and pattern and the non-design crowd, like myself, is invited to search for inspiration. Here’s a little something I threw together. If I only had a color printer, I’d be able to bring it along to all my vendor meetings! Now it’s my turn to ask the question! 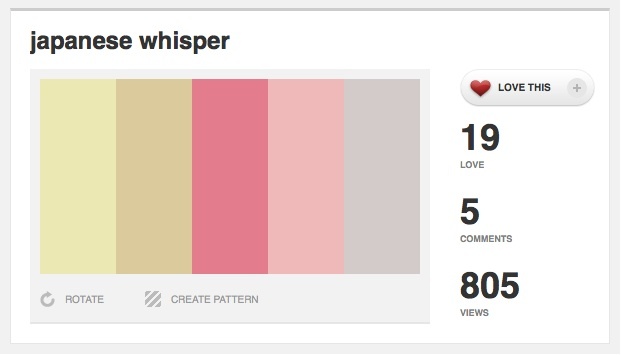 Readers, what are your wedding colors? How quickly did you decide? And who’s opinion did you trust? Perfect for a spring wedding! Plum, light blue and gray. I LOVE those colors! I would have NO IDEA!! !